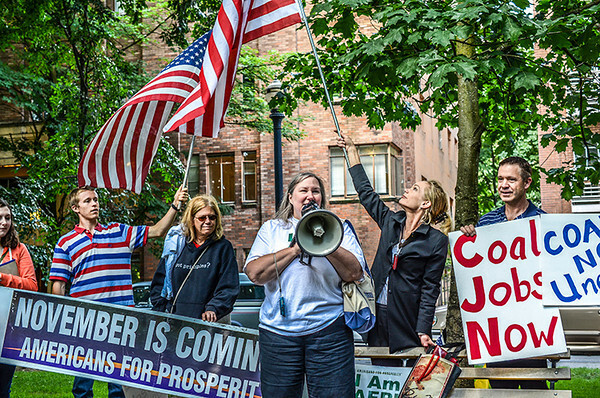 President Obama was in town yesterday and the better part of a dozen Americans for Prosperity gathered in the Park Blocks to present their message. Unfortunately the President's appearance had been moved from the Park Blocks to the Convention Center. To their credit the Americans for Prosperity held their ground and delivered their message to ... well, no one really. Is it November yet?